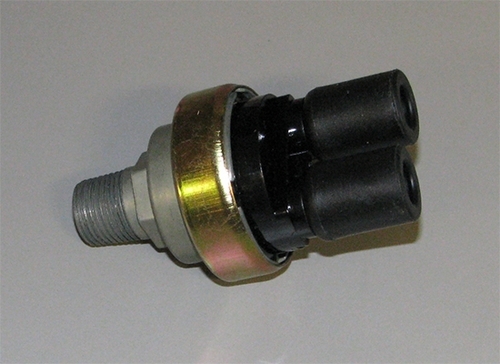 Air operated switch for brake lights (also called a stop light switch). For many Military truck series such as M35, M54, M809, M939. Switch closes at 5-8 PSI. P/N 11602160, 7005. NSN 2540007896192. Made in USA.